World Map of Genetically Engineered Labeling Laws. Sweet Dakota Bliss Tests Free. Notable Quotes: Ralph Waldo Emerson. Recipe: Winter Salad with Spiced Maple Vinaigrette. Special Offer: FREE Fall & Winter Salad Mix Seed. Mailbox: Building Greensprouting Trays, Historical Invaders, Brainwashing Our Youth. The People Score A Victory. Maine Passes Historic GMO Labeling Law. This above infographic we posted on Facebook today has gone viral. 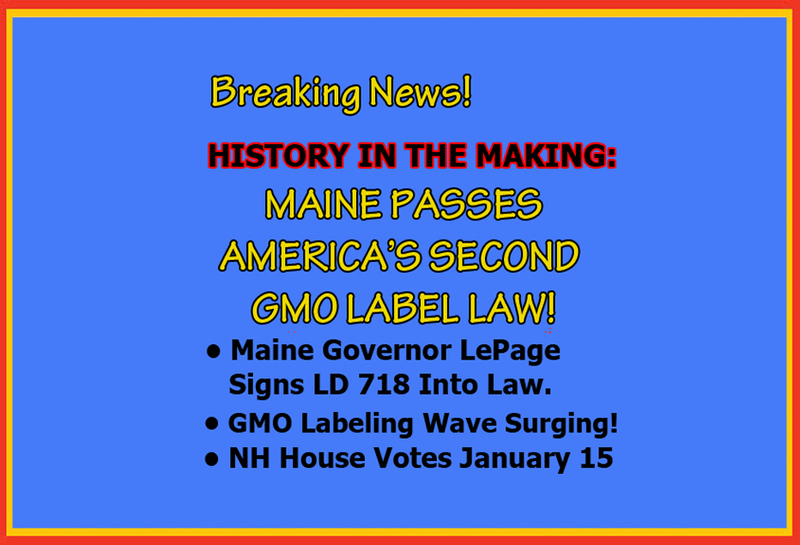 After thirteen months effort by a massive coalition of citizens across Maine, Governor Paul LePage has now at long last signed into law Maine’s historic second-in-the-nation GMO labeling bill, LD 718. Back in July, Gov. LePage promised he would sign the bill into law when the Legislature reconvened in January. Recent weeks have not been without drama as the tight-lipped Governor remained silent and non-responsive to overtures that he join a celebratory bi-partisan signing ceremony. That stance in the face of unrelenting Monsanto lobbying targeted squarely against Maine’s GMO Label bill left supporters puzzled and wary. Now that Maine has passed its GMO Labeling law all eyes turn towards neighboring New Hampshire. Next week the NH House will have its debate and floor vote on HB 660. MOFGA has been aiding its neighbor New Hampshire by helping NOFA-NH rally support for the strong Amended Version HB 660 – a good GMO Label bill modeled closely after the laws passed in Maine and Connecticut. Meanwhile, this week Vermont’s GMO Label Bill H.112, passed by the Vermont House last Spring, received its first reading on the Senate’s first day of its new session. H.112 was then sent onto the Agriculture Committee for further consideration. Similar GMO labeling bill efforts are also underway in Massachusetts and Rhode Island. There is no doubt that after fraudulent campaigning and stolen GMO Label initiative elections in both California and Washington State, momentum for honesty in labeling is now picking up steam throughout New England and elsewhere. The people are increasingly demanding transparency when it comes to GE food. Monsanto and the junk food lobby GMA (Grocery Manufacturer’s Association) function as attack dogs against consumer rights. These dark forces have reason for paranoia and panic as the people walk away with their hard-earned dollars from the death culture which is genetic engineering. Today we chalk up one for honesty and the people. 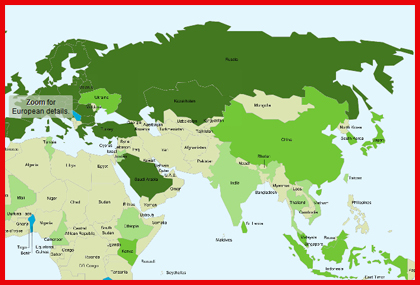 Our friends at Center for Food Safety have put together this excellent world map. It identifies countries across the world and categorizes them in terms of GMO labeling laws. Valuable information and deftly executed. 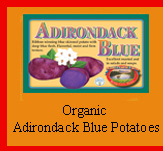 Click here For Our Organic Maine Certified Seed Potatoes. Clarity From a Map. How the world turns. Wood Prairie Farm Beets. Sweet Dakota Bliss. The Results Are In: Our Sweet Dakota Bliss Beet Tests Free of GE Contamination. Because beets are a biennial crop - meaning seed is produced in the second year of growth – keeping a good supply of beet seed in stock can sometimes be tricky. An additional new concern with any member of the beet (Beta) family, which includes table beets, swiss chard and sugar beets, is that unless there is care and extreme isolation, the organic seed may become contaminated with pollen (genetic material) from GE (genetically engineered) Roundup Ready sugar beets. The good news is our friends the Podolls in North Dakota from whom we get our Organic Sweet Dakota Bliss Beet seed are both good organic seed farmers and isolated. We had their new crop of Sweet Dakota Bliss Beet seed undergo state-of-the-art laboratory PCR testing. The results are now back and the testing has shown zero detectable GE content – meaning that of the standard sample of 10,000 seeds tested not one seed was found to be contaminated by GE pollen. This is wonderful news. We have always followed the strict and prudent Organic Seed Growers and Trade Association policy on GE Seed. We do not and will not sell organic seed of any type which has been found to be contaminated with GE genetic pollution. Below is the OSGATA policy which we helped write and which was passed by the OSGATA membership. Contamination of organic seed by genetically engineered (GE) seed− commonly referred to as GMOs − constitutes irreparable harm to the organic seed industry and undermines the integrity of organic seed. Any detectable level is unacceptable. 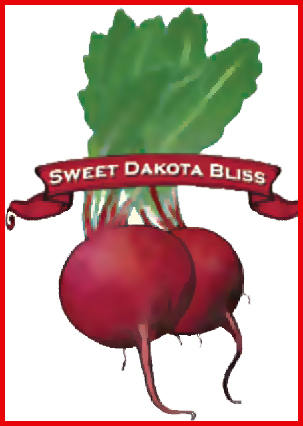 We have an excellent supply of Organic Sweet Dakota Bliss Beet Seed - plenty for both home gardeners and market farmers. If you have never grown it, you will find Organic Sweet Dakota Bliss is an outstanding tender and sweet beet. It keep all through the winter and should be planted in every garden. 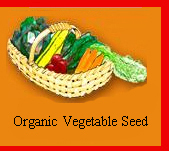 Click Here For our Wood Prairie Farm Organic Vegetable Seed. 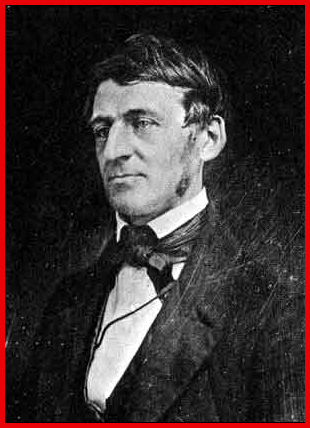 Notable Quotes: Ralph Waldo Emerson on Today & Tomorrow. "Finish each day and be done with it. You have done what you could. Some blunders and absurdities no doubt crept in, forget them as soon as you can. Tomorrow is a new day, you shall begin it well and serenely..."
Ralph Waldo Emerson. Our Fellow New Englander. Winter Salad with Spiced Maple Vinaigrette.Yum. Photo by Angela Wotton. Recipe: Winter Salad with Spiced Maple Vinaigrette. To make the vinaigrette, combine the maple syrup, cinnamon, allspice, clove, star anise, ginger, and 1 T water in a 1-quart saucepan. Simmer on medium-low heat to infuse the flavors and thicken slightly, about 3 minutes. Stir in the vinegar, and strain through a fine-mesh sieve into a small bowl. Whisk in the oil in a slow stream and season to taste with salt and pepper. Set aside and allow to cool to room temperature. Assemble the salad by combining the mesclun and frisee in a large bowl. Peel the carrot, parsnip, and turnip. Using the peeler, shave each into thin ribbons into the bowl. Add the sunflower seeds and half the cheese. Whisk the vinaigrette to recombine, then toss the salad with enough to coat. Serve sprinkled with the remaining cheese. Special Offer: FREE Organic Fall and Winter Salad Mix Seed. Greens in the winter are much enjoyed and appreciated by everyone. Often sown in the Fall in colder climates, or throughout the winter wherever the weather is mild, our popular Organic Fall & Winter Salad Mix is a delightful diversity of salad greens which perform especially well in the off-season’s days of colder weather and low light conditions. Here's your chance to earn a FREE Packet of Organic Fall & Winter Salad Mix (Value $3.25) when you place your next order of goods costing $30 or more. 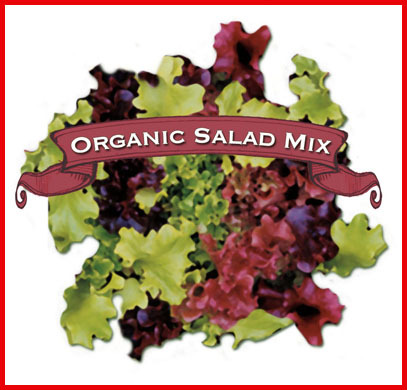 FREE Packet of Organic Fall & Winter Salad Mix offer ends Midnight Monday, January 13, 2014, so better hurry! Please use Promo Code WPF1167. 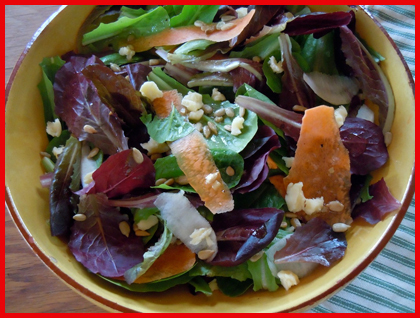 Your order and FREE Packet of our popular Organic Fall & Winter Salad Mix must ship by 5/8/14. Please call or click today! Click Here for our Organic Compost Soil Mixes Section. Wood Prairie Salad Mix. Some good organic seed for every season. Our Mailbox: Building Greensprouting Trays, Historical Invaders, Brainwashing Our Youth. 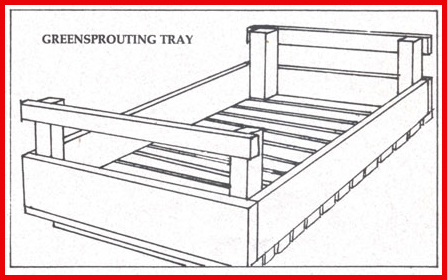 I scanned in one of your newsletters many years ago that had instructions for greensprouting and how to build greensprouting trays. Since I read that newsletter we have been greensprouting and it has made a significant difference in our potato growing success. We are doing a presentation at the Ohio Ecological Farm and Food Association (OEFFA) conference in February on growing and marketing Organic Potatoes. I would like to use this newsletter for a handout but wanted to check with you to make sure it was OK before I did. Yes, no problem you are welcome to use and hand out that Seed Piece. The article originally appeared in a 1995 Seed Piece. Glad the greensprouting is doing well for you. We believe in it and greensprout ('chitting' or preconditioning seed potatoes) all of our seed - about 25,000 lbs. of seed potatoes. Jim Gerritsen, I wanted to share with you the fact that I am thankful for yours and the many other farmer's fight against corporate conglomerates such as Monsanto. You guys leave a favorable impression on the younger generations such as myself to gear up, stand up, and fight for what's right; whether that be by farming on one's own terms, educating our friends, or by taking legal action against the corporations when they step out of line. Thank you for being honest and awesome. Thanks for your note. Democracy is no spectator sport. ALL of us should be in this historical struggle together to protect the peoples' rights and to take back our country from corporate invaders. We appreciate your kind words of support. As a satisfied customer, I enjoy reading your Facebook articles about your fight with Monsanto. I just got this article today from Dr. Mercola about Monsanto's partnership with 4-H and thought that if you didn't already know about it, you should. Thanks - we also just came across this same article. The situation is very believable. Our boys - and before them high school neighbors who have worked for us - have been involved in the group Future Farmers of America (FFA). At the national annual FFA conventions, Monsanto was every year ever-present providing tote bags filled with biotech propaganda for the many thousands of young attendees. In academia, Monsanto will contribute a couple hundred thousand dollars annually to cash strapped ag departments at Land Grand Universities. The researchers become accustomed to having that funding year after year. The unspoken truism all parties tacitly understand: conduct activity that makes Monsanto sad and then say goodbye to that annual Monsanto underwriting. The deck is stacked against the people. Ultimately, however, we do have the power of truth on our side and that is very powerful.